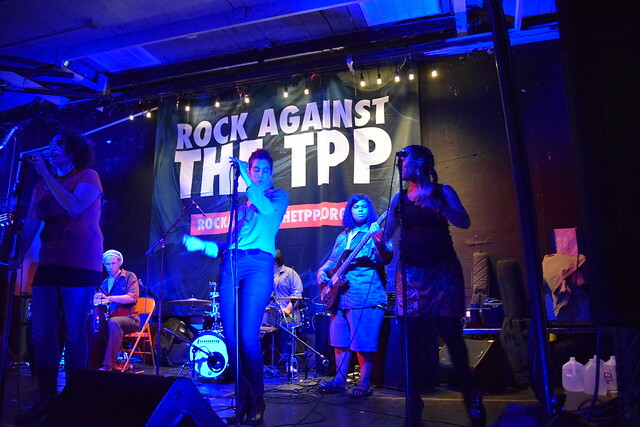 I went to the Boston Rock Against the TPP Concert last Friday at Spontaneous Celebrations. It was organized by Fight for the Future and a host of groups including the Massachusetts Pirate Party. Two more are coming up.